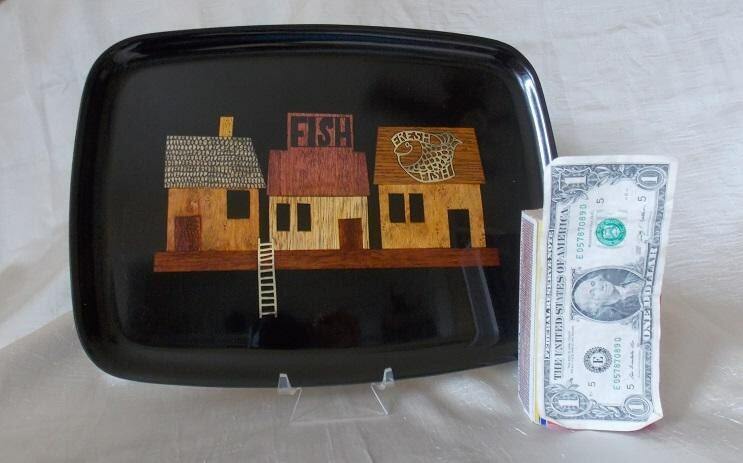 This Couroc serving tray features a hand inlaid fisherman's wharf scene of various woods in the center of the tray. 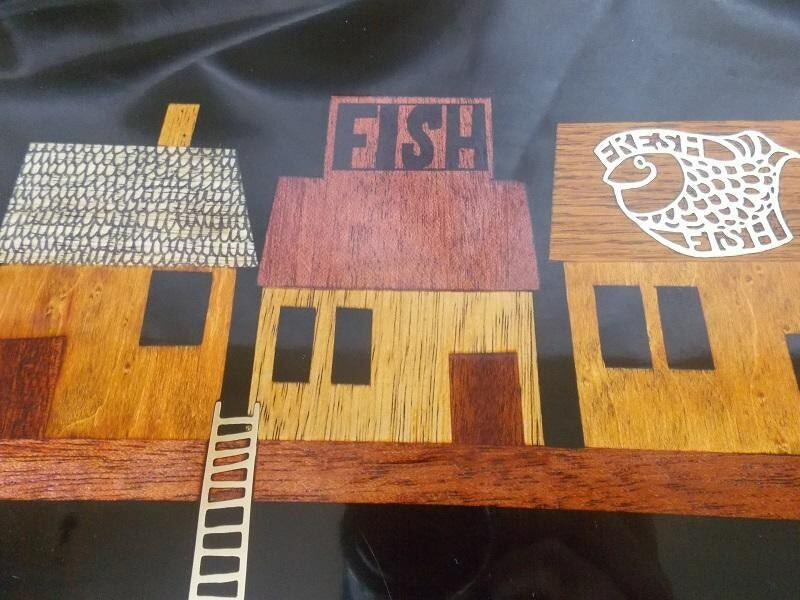 One of the building has a brass fish-shaped sign on the roof labeled " Fresh Fish" and another building has a "FISH" sign in black. 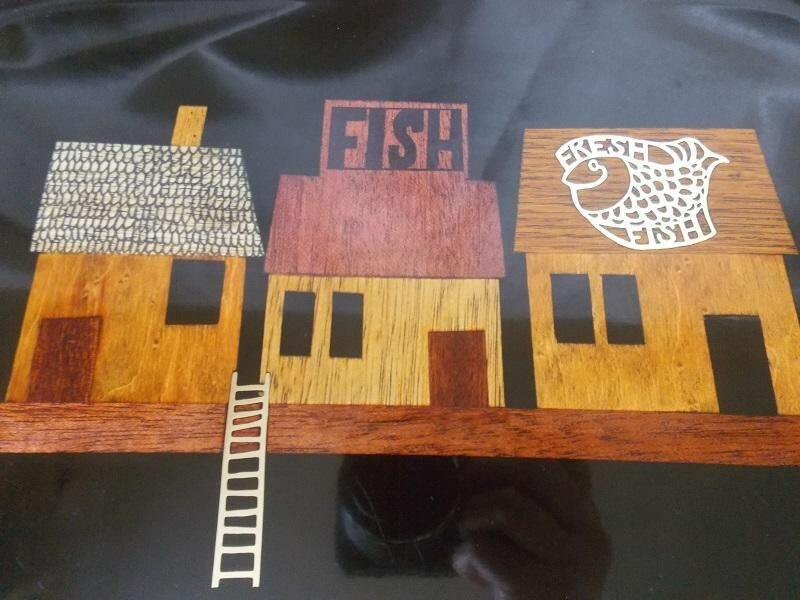 There is also a brass ladder leaning against the pier. 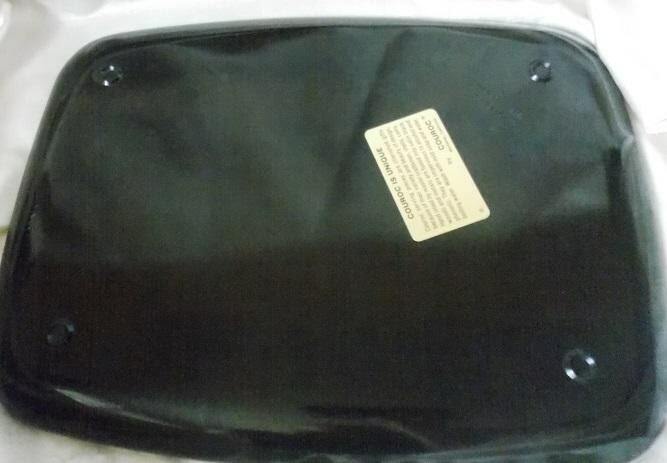 The tray is rectangle with rounded sides. 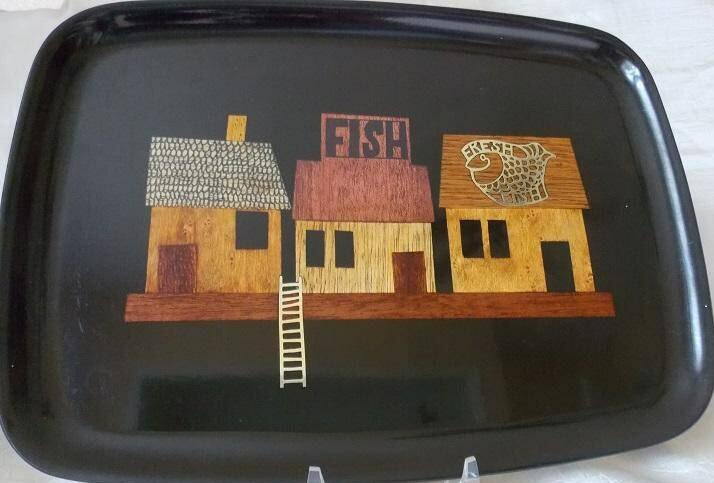 The tray has the original gold sticker and is marked "Couroc / Monterey, California" on the back. * Nice vintage condition with normal wear due to age and use.